Cell phone users feel it: Slowly growing anger born of staggeringly slow cell service in Santa Fe. Cell tower opponents feel it, too: Slowly marching technological advancement, squeezing in on them. To Arthur Firstenberg, strident opponent of cell networks and leader of the citizens network he built to assail them, it's a physical pain. "I have a tremendous headache," Firstenberg told the City Council and mayor as the governing body took up five measures that would expand telecommunication access in Santa Fe. "If you want Santa Fe to be a sanctuary city, be a sanctuary city," Firstenberg railed against the franchise agreements. He claimed to know 400 people with health issues related to electromagnetic sensitivity who have been largely silent, "stigmatized and marginalized" by the community. Firstenberg, who ensured he was, in fact, first from the public to address the issue, made certain the governing body felt the pain, too, speaking well past his allotted two minutes as more than a dozen people waited patiently to voice their opposition. His hands shook as he harangued the mayor and councilors. As Mayor Alan Webber asked him repeatedly to wrap up quickly and Firstenberg alternately read to and responded to Webber, much of his prepared statement was lost in the fracas. Firstenberg was loudly applauded regardless, as were the next two speakers, by a crowd of about 50 people who showed up to protest the agreements. 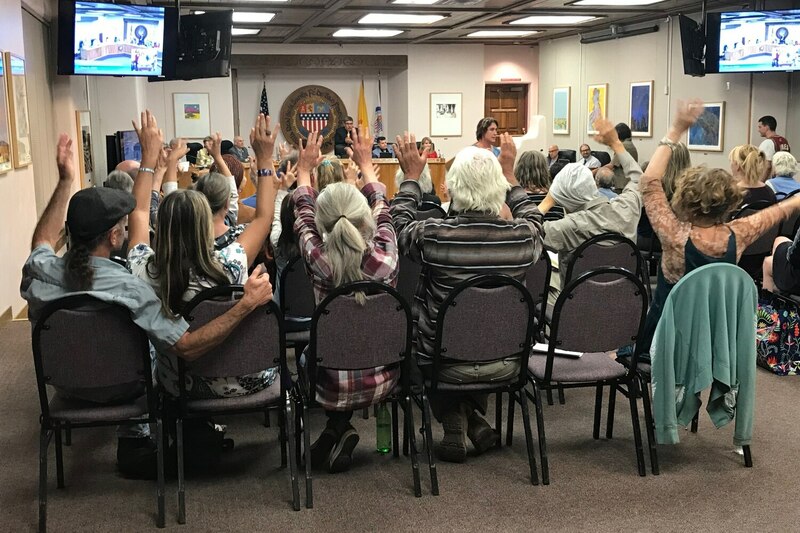 Eventually, at the suggestion of Councilor Renee Villarreal, they settled on waving their hands above their heads to quietly signal agreement. Next-generation cell networks will operate on a 5G network, which promises much faster data speeds, but much less range. The upshot is cell carriers will need more sites to receive and send data. One of the measures approved by the council Wednesday night would allow a company called Broadband Network of New Mexico a non-exclusive right to provide those sites. These aren't the cell towers most people are used to, but smaller cell sites attached to utility and light poles. At some point, they do connect, either wirelessly or through a hardwire, to a larger cell site that relays the data. Late in the hearing, city staff told the governing body that Santa Fe needs to upgrade much of its infrastructure, including fiber optics, to realize true 5G speeds. Only one of the five agreements before the council dealt with a 5G network. The other four related to fiber optic internet service, including a plan by Conterra Ultra Broadband to link Santa Fe Public Schools' 26 campuses to the district headquarters on Alta Vista Street. As controversial as the franchise agreements were on Wednesday, they sailed through two of the City Council's major checkpoints, passing both the Finance and Public Utilities Committees unanimously. There's not a lot the city can do to stand in the way. Federal law says it has to allow access to the city's right-of-way land for telecommunications carriers. Santa Fe can, to some extent, demand that the infrastructure be placed underground, but the city's preferences can't have the net effect of prohibiting the network. Further, the city attorney's office determined previously that the law forbids the City Council from considering health effects of electromagnetic radiation when it decides on a franchise agreement. Finally, a state law that goes into effect in September will preempt many of the city's rules regarding the 5G network infrastructure, though the city would maintain the ability to limit cell sites in historic and residential neighborhoods. "What are we getting out of this," Webber asked Economic Development Director Matt Brown late in the evening. "What's the public good?" Brown pointed to the benefit to schools of faster internet service, as well as being able to bridge a digital divide between parts of the city that have more robust access and those that do not. As Brown explained, the audience heckled him, prompting a stern exchange between Webber and a man in the crowd. Well after 10 o'clock, the governing body voted for the 5G infrastructure franchise agreement, with Councilors Chris Rivera and Renee Villarreal voting against it in the face on September's state law. It approved the rest of the agreements by the same margin. "Power to the people!" a disappointed woman shouted as she shuffled out. The city has long had cell service issues near downtown, especially on the Verizon Wireless network. Service deteriorated so badly last summer that then-Mayor Javier Gonzales set in motion a series of emergency declarations, allowing seven temporary cell towers to be placed on city property. City staff says agreements are in the works to make those sites permanent, though nothing has been settled yet. Two of the temporary locations—on the Sandoval Parking Garage and the Community Convention Center—will have to be approved by the Historic Districts Review Board because they're downtown. A third site, on a light tower in Fort Marcy Park, is required to go in front of the city's Planning Commission because the park is zoned as a residential area. All seven lease agreements would have to be approved by the governing body. It's not clear how much revenue the agreements would generate, though the city could undoubtedly use it. Persistent delays in the city's annual audit prompted State Auditor Wayne Johnson to send a letter Tuesday to Webber urging attention to the matter. The city has asked for three extensions and is racing to meet a deadline next week. "I understand that part of the problem is an inability to produce audit-ready financials," Johnson wrote. He added that continued failure to produce an audit could jeopardize the city's bond rating as well a its ability to qualify for state capital outlay money. That particular funding stream is used for construction of and improvements to brick-and-mortar projects like athletic fields and senior centers. 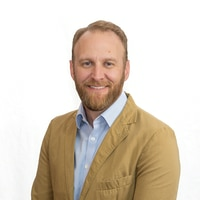 City spokesman Matt Ross says Johnson and Webber spoke on the phone Wednesday and that the mayor expects "major findings" in the audit and referred to the city's finances as "broken." Ross says Webber plans to incorporate the audit in the city's ongoing response to the McHard fraud assessment released last fall.